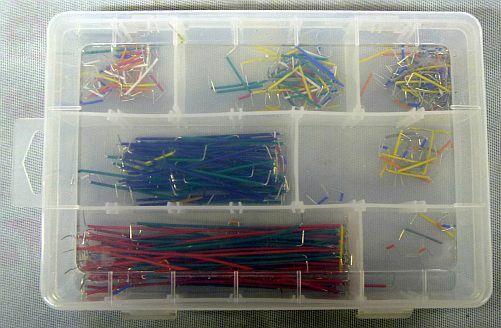 This is an approximately 350 piece jumper wire set. The manufacturer messed up the packaging so we are selling these kits at a reduced price. 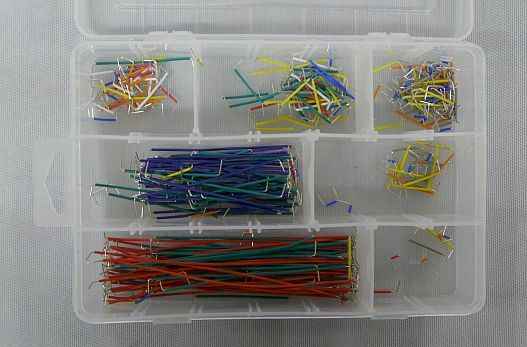 Assorted lengths and colors in each package. Must have for use with solderless bread boards! Item weight is approximately 0.48 pounds.